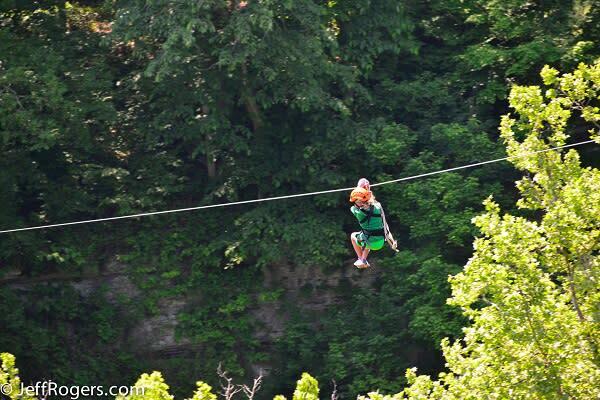 See Boone Creek from a bird's eye view accompanied by experienced guides. 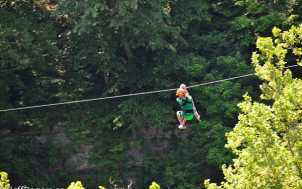 Soar on ziplines as long as 1400 feet and as high as 200 feet. Traverse bridges and staircases as you make your way through the native hardwood canopy. 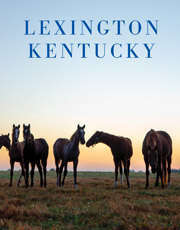 Guides will share local history and knowledge of the unique ecosystem of Boone Creek and the Kentucky Palisades Region.